The right water aerobics gear can help you succeed in your efforts. Water aerobics has become a more popular method of working out. Some individuals choose this method of working out for fitness purposes. Others do it in an attempt to lose weight. Because water aerobics puts less stress on the joints and the body, it is a preferred option for the elderly and others who are weak for a variety of reasons. If you are interested in joining the bandwagon to participate in this method of exercise, you will need certain swim gear. One of the first things you need to purchase is a good swimsuit to wear when participating in your workout. The typical suits you wear for recreational swimming and can buy from your local department store do not offer the same quality as other swimsuits. Instead, you should choose water aerobics swimwear that is designed for optimal support and freedom of movement. You can find swimsuits with a variety of coverage levels for your comfort. Before you begin your water aerobics sessions, you need to make sure you have other wearables that are necessary to your success. While not a necessity, a swim cap can be a great addition to your water aerobics wear, especially if you want to protect your hair from the harsh chlorine in the pool. A good pair of water aerobics shoes is also essential to give you maximum traction on the pool floor. There are also certain tools you need to use when you are participating in water aerobics, whether you are taking a formal class or working on your own. For instance, aqua fitness barbells and aqua fitness gloves can be a great way to add some additional toning to your workout, as well as resistance as you move your arms through the water. An aquajogger, such as the Swim Stuff Aqua Jogbelt, can be a great option to add a little extra weight to your body in the water. If you are ready to start taking advantage of water aerobics and all it has to offer for fitness and weight loss purposes, you will need to make sure you purchase the right gear. This includes buying a quality swimsuit that will offer you the support and comfort you need in your workouts. You will also need to purchase other wearables and certain water aerobics tools for the most effective workout. To find out more about what you need for an effective water aerobics workout, contact us to speak with one of our representatives. Competitive swimwear may look like many of the other swimsuits that are available in your average store. However, these suits are often quite different, made in different styles with different materials that are designed to enhance a swimmer’s movements in the water. These suits also typically provide more coverage than the suits you can buy in any department store. Because competitive suits are built differently, you need to learn how to properly size one. Measuring for competitive swimwear is quite easy for most swimmers. Men should measure their waist and their hips to get the proper fit. Women must measure their waist and hips, as well as their bust, to ensure the right fit in their swimwear. Once you know your measurements, you will need to retake them each year to accommodate any changes in your body. Every brand of competitive swimwear has its own sizing chart to use. If you wear one size in one brand, don’t assume you will wear the same size in all brands. Many of the best brands are similar in size, but it is best to make sure you are matching up your measurements to the right chart so you can be sure of the proper fit. Choosing the right competitive swimwear is essential to your success. Many swimmers don’t fit perfectly into one size on a brand’s chart. When this happens, it is best to order a size up rather than a size down. While it may seem that the drag of the extra material would not be beneficial to swimmers, the effect is minimal. Wearing an uncomfortable suit that restricts your movement is much more detrimental to your swimming. Before you jump in the pool with your new competitive swimwear, make sure you try it on. If it doesn’t fit properly, it is best to exchange it for a different size. This can be complicated if you buy online, but it isn’t impossible. However, this is why you should always follow the right steps to reduce the chances of needing to return the suit. Competitive swimwear fits much differently than typical swimwear, making it essential to learn how to get the right fit. Because you need freedom of motion and a good fit to be an effective swimmer, it is important to measure yourself regularly, compare your measurements to the sizing chart, order up if needed and try the suit on before you start to use it. The Dolfin Chloroban suits are incredibly durable. When you swim competitively, you spend a lot of time in the pool. There are many practices each week, as well as meets on a regular basis. If you have been purchasing Lycra swimsuits up until now, you may have noticed that you have to replace your swimsuit often. This is because the chlorine, sunscreen and body oils wreak havoc on the material, causing them to wear quickly. Instead of spending more on new suits, you can save money by purchasing the long lasting Dolfin suits. The key is in the Chloroban fabric that is used in this competitive swimwear. This highly durable material offers you the ability to wear the suit in the water over and over again without exposing it to high levels of wear and tear. The fabric is incredibly resistant to chlorine, as well as the chemicals in sunscreen and the oils in your skin. This offers you incredible value for the money because the suit will remain in great shape for much longer. 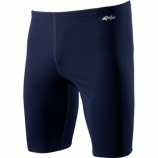 For men, the Dolfin Chloroban Solid Jammer is a great option. This incredible suit offers you all the comfort you need in your choice of six colors, including black, navy, red and forest green. The soft and comfortable material stretches and returns to its original shape, giving you freedom of movement. The Chloroban fabric is also UV resistant and dries quickly so you can be comfortable and confident, even when you aren’t in the water. The women will enjoy the Dolfin Chloroban Solid DBX Back Suit. This incredible suit can offer you many of the same advantages of the men’s suit with the proper coverage women need while swimming through the water. 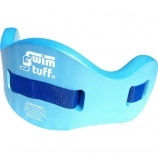 The classic design offers the best range of motion and doesn’t feel restrictive as you swim. the women’s version of the suit is available in seven colors, including black, purple, navy and red. When you need a great swimsuit that will last you a long period of time, the Dolfin Chloroban suits will save you the most money. The material from which these suits are made is designed to work with your body and resist all the chemicals and oils that are a natural part of swimming. Whether you are male or female, you can find the perfect option in the best color. The Speedo LZR Elite now comes in three great color combinations. The Speedo LZR Elite swimsuits are some of the best competitive swimwear on the market. These incredible suits are available in both men’s and women’s styles, giving all swimmers all the incredible benefits Speedo offers to its customers. If you are looking for a great suit that will offer you all the advantages a swimmer needs in the water, as well as a great selection of colors to help you stand out in a crowd, the Speedo LZR Elite is your suit. The LZR Elite suit is made from quality Pulse Fabric technology that gives swimmers an advantage over their competitors in the water. This unique fabric is 40 percent more water repellant and durable, giving swimmers less traction in the water that will hold them back. This allows swimmers to move seamlessly through the water for faster swim times and better results. These suits also offer full body compression to reduce muscle oscillation and provide swimmers with a more hydrodynamic shape. While technique is an important aspect in your success, the type of suit you wear can have a great impact on your results as well. The Speedo LZR Elite was only available in black. However, today, the company has released three great new colors to offer you even more flexibility in your competitive swimwear. The black and sapphire provides the perfect contrast between the dark black and the brilliant blue. If you want a color that is a bit brighter, you may opt for the black and green to give you even more visibility in the water. Finally, this swimsuit is available in a navy and raspberry combination. This allows you to eliminate the black from your suit entirely and give yourself a look that will really set yourself apart from your competition. Competitive swimming is a great way to stay in shape. While you are in the water, though, you need the right kind of swimwear to give you the advantage you need over your competitors. The Speedo LZR Elite is one of the best suits to give you the hydrodynamics and the other features you need to swim your best with few distractions. While you may already have one of these suits in black, they are now available in three great new colors so you can find the right one to showcase your personality and help you stand apart while you are in the water and hanging around the pool. The right competitive swimwear provides you with comfort and functionality. If you are looking for the best swimsuits for women to wear to flatter your figure and allow you to swim with less resistance and restriction in the water, you need to consider the best color splice swim team suits. These suits are perfect to provide your whole team with a unified look. Everyone will know who belongs to your team with these functional suits. Some can even be imprinted with your team logo for an even greater effect. If you prefer a tank-style competitive swimsuit, the Nike Team Splice Modern Fast Back Tank is the perfect option for you. This suit offers a bold look, creating the majority of the body of the suit in black with accents in white and your choice of four other colors. The contrasting criss-crossing straps in the back provide all the support you need without having a negative impact on your ability to cut through the water. For those who are looking for somewhat thinner straps for greater comfort, the TYR Durafast Splice Diamondback Swimsuit can be the perfect alternative. The thin straps meet in the back at a thicker strap that spans your back, providing you with the extra support you desire in your suit. This competitive swimwear is available in black with four accent color options, navy with white and royal with white so you can find the perfect one to match your team’s colors. Another option in the splice style is the Speedo Rapid Splice Energy Back Swimsuit. This spectacular team suit can provide you with the fit you desire. 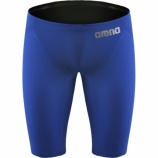 Made from Speedo’s X-tra Life Lycra fabric, you can count on the durability you desire in a swimsuit. In fact, this suit can last up to five to 10 times longer than the typical suit because of its resistance to body oils, sweat, chlorine and sun block products. This suit is available in black with your choice of six accent colors, navy with red and maroon with black. Shopping for the perfect women’s competitive swimwear requires you to take a look at the style you desire most in your swimsuit. With the splice suits, you can expect a flattering fit that won’t cause you extra resistance as you swim through the water. This is an incredible asset for competitive swimmers who are looking to finish with the fastest time. The right competitive swimwear can make all the difference in your competition. When it comes to competitive swimming and high school championships or college conferences, men need to find the racing swimsuits that are going to work with their swimming ability and not against it. Finding the right suit is the best way to ensure you showcase your best swimming abilities instead of hindering them by excessive drag or poor aerodynamics. The racing swimsuit you choose for your competition could have a large bearing on how you perform in your next competition. This racing swimsuit is all about muscle compression. The Arena Powerskin Carbon Pro Jammer delivers the perfect amount of muscle compression without restricting your movement, allowing you to show off your prowess in the water. This Arena swimsuit has created the perfect combination of locking down where your body needs it along with the elasticity your movement needs. Made with carbon fibre that is unique to this suit, your movements will be fluid and sharp, allowing you maximum benefits in the water. The Speedo LZR Elite Jammer brings together the best of both worlds between two classic Speedo racing swimsuits, delivering fabric that is meant to allow you to glide through the water without any restricting seams thanks to the bonded seams of this Speedo swimsuit. You will feel comfortable, swim well and look good in this sleek competitive swimsuit. The Speedo LZR Pro Jammer competitive swimsuit is made from lightweight fabric that reduces the amount of drag you experience in the water. It also features an incredibly durable material that lasts through many competitions, giving you longevity out of your investment. It is the perfect racing swimsuit for the swimmer who is new to the competition. Sometimes your race comes down to the point where every fraction of a second counts. Don’t let that be the case for your race. Wear the Speedo Fastskin3 Super Elite Jammer to make every second count. Made for the serious competitive swimmer, this compression suit offers the hydrodynamics you need to glide seamlessly through the water. You’ll experience a fit that offers maximum support yet the perfect amount of resistance to allow you to perform your swim strokes effortlessly. High school championships and college conferences rely heavily on the skill of the swimmer. You have worked hard to create your skills; now you need to choose among the greatest racing swimsuits to help you maximize your swimming efforts in your next competition. 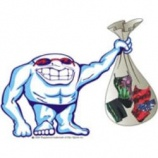 Practice swimwear preserves your competitives swimwear. Competitive swimmers spend a lot of time in the pool, practicing so they are able to swim their best when the meets arrive. However, because of the harsh conditions of swimming, including chlorine from the pool, perspiration and the chemicals in sunscreen, the material from which many swimsuits is made will begin to break down. While many competitive swimsuits are made from materials designed to resist these conditions, they will still break down over time. Practice swimwear is a great low-cost option, allowing you to enjoy the quality swimsuits required to swim well without putting excess wear on your expensive competitive swimwear. The swimsuits you use for practice will be in the pool a lot more than those you use for meets. Because you won’t spend a lot of money on these swimsuits, you won’t feel guilty when you have to replace this suit more often. In general, the suit you practice in really doesn’t matter much, though it can impact your times so you need to make sure you are still using suits designed for competitive use. One of the best ways to purchase the low-cost practice swimwear you need to perfect your stroke in the pool is to purchase a random practice suit. When you choose this method of purchasing a low-cost suit with which to practice, you won’t know the company, style, color or design of the suit you will receive. You simply choose between a men’s or women’s suit and indicate your size. Then you will receive a random suit. One of the greatest benefits of receiving a random suit with which to practice is it will give you the challenge of swimming in a different style of suit, allowing you to better your ability to swim, no matter what you wear. This can have a positive impact on your overall performance. Your performance in the pool depends greatly on the amount of time you spend practicing in the pool. Because the constant swimming in the pool can have a negative impact on your competitive swimwear over time, it is often best to have a few practice suits on hand to use for practices. These suits often cost less and can be purchased at random so you don’t know what kind of suit you will be dealing with. This can help you become a better swimmer overall.